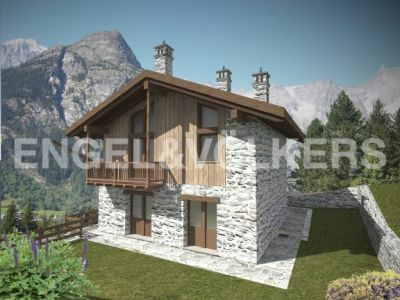 In one of the most appreciated and sought-after locations in Courmayeur, we offer this exclusive independent Chalet under construction, layout and interior finishes chosen by the purchaser. Possibility of purchase of the structure or of the completed house as specified. The real estate unit has a "first home" destination. Two solutions available L2 about 179 square meters commercial, L3 about 223 square meters commercial. The high quality finishes and the excellent value for money characterize these exclusive housing solutions.